Have you ever wished for a dentist who would let you know that you’re at risk for a condition before it actually happens? Or maybe a dentist who would diagnose needs as early as possible, saving you expensive treatment costs later on? That’s exactly our goal when you entrust us with your oral health. Our North Woodbridge dentists believe in routine disease screening and early diagnosis for each patient. It’s what we would want for our own smiles! An extensive evaluation of your smile is performed at every new patient appointment, and repeated every three to seven years. During this exam, Dr. Penning assesses the anatomy of the teeth, jaws, face, and aspects of your smile that can indicate risk factors for your long-term oral health. Routine exams are also conducted during periodic dental check-ups every six to nine months. You may not have risk factors like alcohol or tobacco use, but oral cancer may still be a concern. We perform thorough oral cancer screenings on every patient during every exam. Identifying abnormal and precancerous tissue at its smallest stages means you may benefit from more effective treatment. 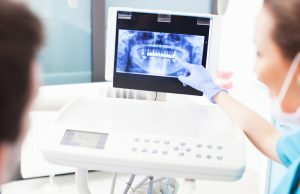 Our digital x-ray equipment means you’ll get faster results with high-definition imaging available right in the same room. We believe this improves our level of patient communication and understanding about your oral health needs. Digital equipment also uses less radiation, further enhancing the safety of our patients and staff. 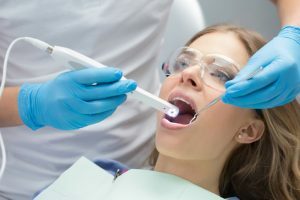 Intraoral cameras are handheld, pen-sized cameras that can be used to capture video or still shots of areas throughout your mouth. They’re perfect when discussing a tooth in the back of your mouth that can’t be seen in a mirror. The image is displayed on our in-room monitor, as well as saved to your electronic file. Intraoral images are also perfect for monitoring the progress of areas of concern. Laser technology allows us to gently and quickly treat areas like ulcers and cold sores during your appointment. After just a few seconds of treatment with a laser, your lesion will no longer be uncomfortable, and healing time will be greatly decreased. 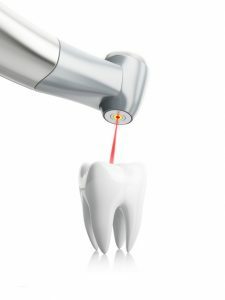 We also use soft tissue lasers to perform frenectomies and gum recontouring. Preventive cleanings keep your mouth free of disease-causing tartar along and under the gumlines. Our hygienists use gentle Cavitron scalers that remove debris while also flushing away biofilm. Superficial stains are easily polished away with our CaviJet system, leaving your teeth brighter and smoother after every cleaning. Since gum disease is one of the leading causes of tooth loss, we take battling it very seriously. Periodontal disease is caused by tartar and plaque under the gum tissues. These bacteria destroy bone and detach gum tissue from the teeth. 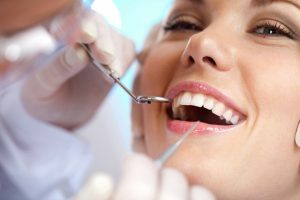 Periodontal therapies like deep cleanings, locally placed antibiotics, and a periodontal maintenance program can help eliminate gum disease altogether. Professional strength fluoride treatments are an excellent way to strengthen your enamel and encourage healthy tooth formation. If you’re at a great risk for tooth decay or have sensitive teeth, then fluoride will be offered during your preventive care appointment. We also apply a treatment during all of our pediatric visits. Protecting your teeth from chronic grinding and clenching (bruxism) saves your smile and prevents problems like TMJ disorders. Bruxism is a common problem that can cause worn enamel and damage to existing restorations. We offer both bite guards for bruxism, as well as protective sports guards. Our Proform sport guards prevent tooth injury, lip lacerations, and decrease the risk for concussion during sporting actives. Tooth pain is something that many people describe as the most severe pain that they’ve ever experienced. We aim to help alleviate your pain and discomfort as quickly as possible. Our convenient appointment times mean that we can see you at a time that’s most convenient for your schedule.